Freshman year is both the most exciting year and the most terrifying year. You are entering the world of adulthood and new experiences. Even with all the excitement and fun, there are still a few things to keep in mind. It is absolutely terrifying going from being the “big kids” in middle school to being the babies again. “I really am excited about going to highschool, but I’m really scared about how the transition will be,” said Sophia La Salle, an incoming Freshman. But it really Isn’t all that bad. Instead of just staying in the sidelines and feeling like you have no one, remember, you aren’t alone. You are a part of a multitude of people who are on the same boat as you. Just talk to people, you may just find your very best friend along the way. Make sure to join clubs. Clubs are the easiest way to meet people who share the same interests as you. You have just about anything from Japanese Culture Club to Key Club. However, if you aren’t interested in clubs, there are always sports you can join. Even though we don’t have sports here, you are always able to join the sports teams of your home school. That also helps you expand your circle of friends much farther. Always remember, your teachers are always there to help you. Dont think that because a teacher is done with a lesson that they won’t go back to it. Your teachers are only interested in your bettering your future. Which leads me to: Don’t be afraid to ask questions. If you aren’t understanding, ASK! Chances are most other people are just as confused as you. However, if you don’t feel okay about asking in class, teachers tend to get to school early and stay after school for a while so ask then. 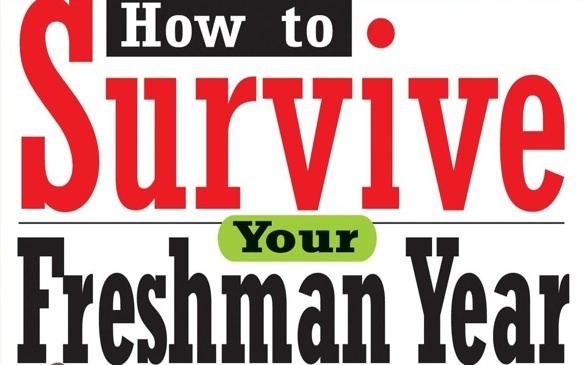 Don’t feel intimidated by upperclassmen. Of course you always see the stereotypical mean kids in movies and T.V shows, but its not like that at all. Upperclassmen are always ready to lend a hand because they were in your shoes at one point. Dont be afraid to just say hello and spark up a new friendship. High school is nothing like in the movies. There is no “mean popular crowd,” popularity means nothing in highschool. You shouldnt have to try super hard in order for people to like you, you should go with the flow and you’ll meet people who have the same things in common as you. Last but certainly not least, HAVE FUN! High school is all about opening up and realizing who you want to be. Not only should you do your homework, but make sure to go out with friends and go to all the events. High school is certainly the most memorable time of your life. Enjoy every second of it and make the absolute best of it.